Known and unknown songs from Native North-American Indians form the basis of this CD. On his trips Woschek connects different musical impressions and lets thus worlds come together which could not be more different, as for example Reggae with Native-Indian elements from Mexico and North America. 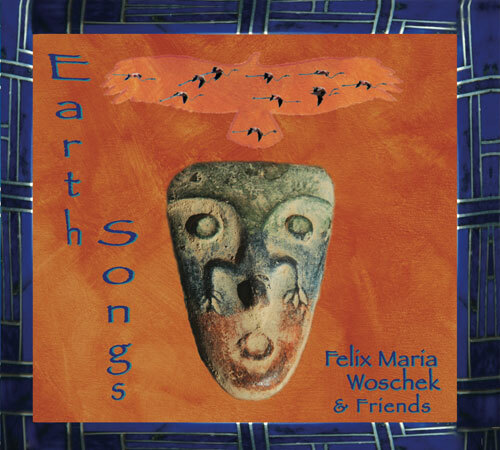 Finally, on time for the festival Felix new CD „Earth Songs“ is released. And what a surprise: The choirboy reactivates his E-guitar and competes Santana! Really cool! A great gentle-sounding rock disc. Indian Spirit songs – sometimes with Raggae Grooves – sometimes in the classical Hammond organ sound overlayed from howling guitar riffs. Superb orchestrated and chanted. Felix was assisted by Peter Blue (e-guitar), Elisabeth Star (Hammond Organ), the Raggae singer „Yell“ as well as from the Cherokee Laurinda Reynolds.